Last year, I started using Instagram. After seeing a magnificent series of pictures of a Friend on Facebook, I joined Instagram just to follow him. His name is Amir and you can find his pictures here. He only takes b/w pictures, mostly in an urban environment. Check out his profile, he’s really good! I remember I was in Prague at the moment. My first pictures were some posts from an empty stadium I discovered with a friend. You try some hashtags, you get some likes. It’s exciting when strangers like your picture. And it’s remarkable that a simple hashtag can reach so many people. The app has a really big and active user group, that’s for sure. I was staying for just a few months in Prague, and there were a lot of Czech people connecting with me. They either liked my pictures or started following me. Soon I also discovered people from the area I was staying, and it was cool to see some buildings I knew. I recognized a street, a coffee bar, or a sculpture. It convinced me even more to go back to the app. After these few months, I moved to Paris with my girlfriend. We were going to stay 5 months there. I loved Paris already from my teenage years. It was a dream to live there one day and now that dream came finally true. I visited Paris often before. My longest stay in the city was 2 weeks, during which I visited most of the highlights in the city. Now it was finally time to really get to know this amazing city. After posting some pictures of Paris, I soon connected with a lot of Parisians and tourists in the city. I saw spectacular pictures popping up on my Instagram feed. All of them were from the beautiful city I was living in. I soon realized that I could discover the best places, just by following the right people. And that’s what I did. Discovering new places, sometimes off the beaten track, is now my main reason to use Instagram. That day, I decided to geotag all of my pictures. It’s not always easy to put the exact location on a photo you took, especially when you’re abroad and don’t have any mobile internet. But I do my best, and I hope that someday someone will decide to visit a place thanks to my Instagram picture. Please geotag your Instagram pictures. It helps other people discover the beautiful hidden places of a city, some cosy coffee bars, impressive buildings, or just marvellous views. This part is where it gets interesting for small business owners. 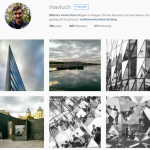 Being on Instagram gives people the opportunity to discover your place from the inside, with personal stories. You don’t even have to create all the content yourself. Many people like to take pictures of their food or the interior of their favourite coffee place. The only thing you have to do is create an own unique hashtag for your business and encourage customers to tag it on their pictures. That way, you have a continuous supply of customer pictures and stories. It’s your choice then to repost the best ones, using a repost app like this one, as long as you give credit to the original Instagramer. 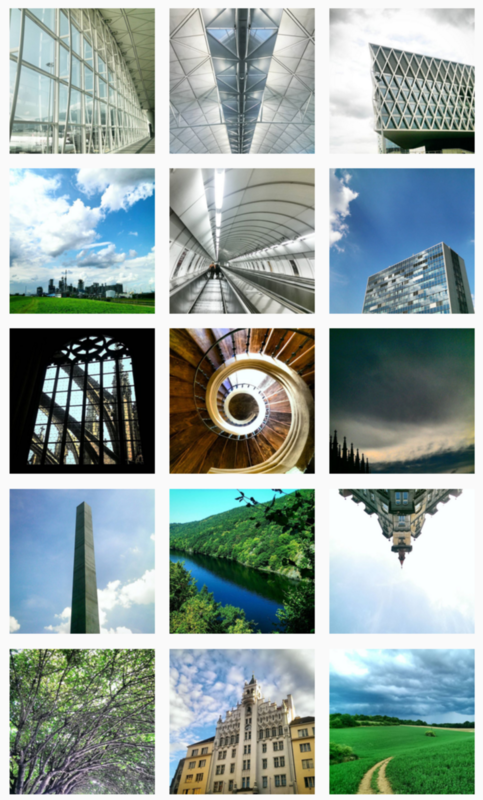 If you would like to see what I discovered the past year, have a look at my Instagram profile here. There are pictures from Czech Republic, Paris, Stockholm, China, Hong Kong, Vienna, Graz and Belgium. There are also a few from Malaysia and Myanmar, but that was a #latergram. Digital Marketing consultant and founder of ScatterPlan.